Modern apartments, with a maximum capacity of six people, community pool, for both adults and children. 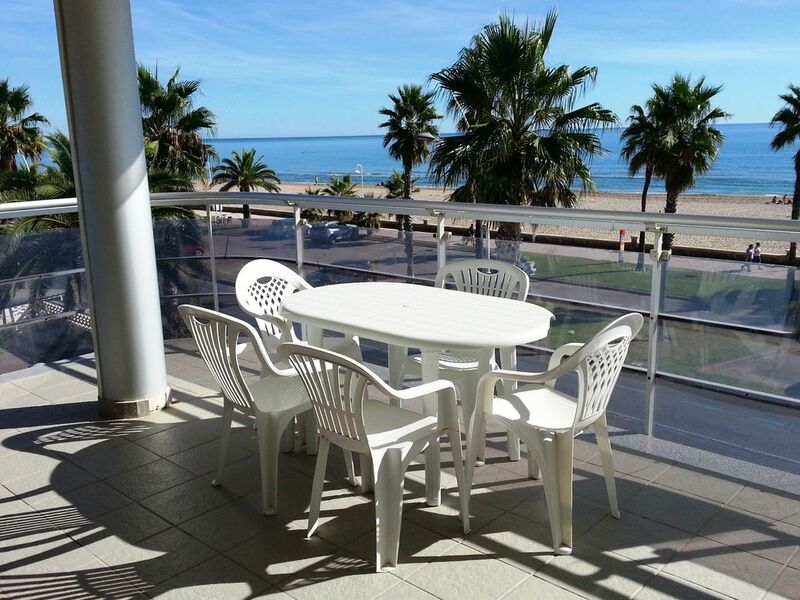 Located on the seafront, just 50 meters from the sandy beach. From the large terrace you can enjoy beautiful front / side views to the sea. The apartments have two double bedrooms, kitchen with vitrocerms, a full bathroom and a living room with double sofa-bed. Lift Washing machine.Wifi included. Possibility, with payment at reception, of Bed and bath linen, parking space, TV, at the same time as for carrying pets. Centrally located, less than two kilometers from the center of Peñíscola. Shops and services around. In a very quiet and residential environment. A good option to discover the charm of Peñíscola while enjoying the relaxation of the holidays. Ideal for families.